Leave your stress and worries behind with a holiday in our unique, peaceful and tranquil setting in the embrace of the White Mountains. 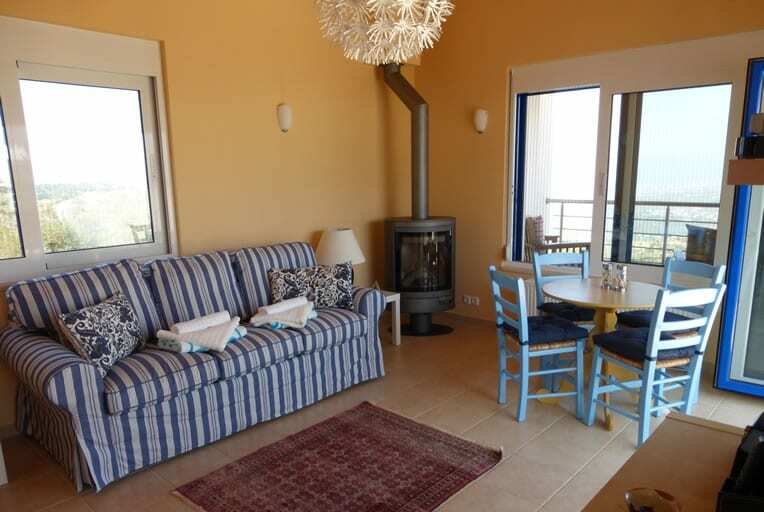 Come and stay with us in one of our elegant and tastefully decorated holiday apartments. Quality furnished, we prepare them with love and attention to detail. We have one apartment and a bedroom suite to rent. 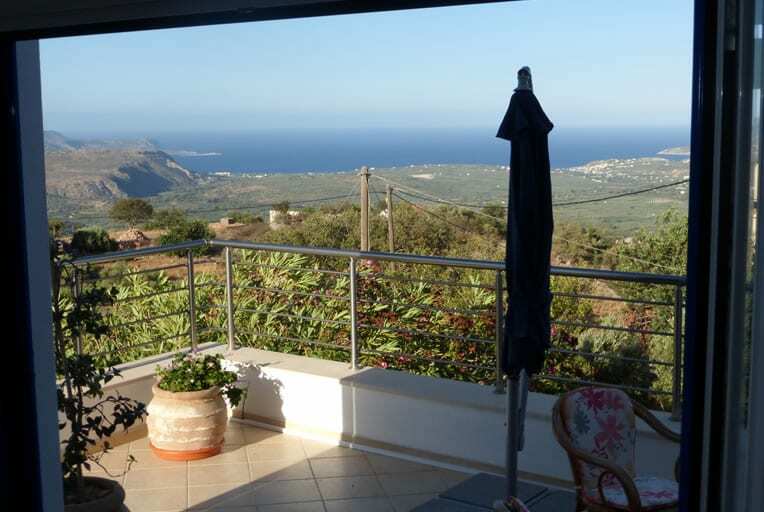 They benefit from huge concertina doors to their own terraces with spectacular panoramic views. Superior insulation and the cooling mountain breezes mean air-conditioning is rarely needed. We provide splendid breakfasts, packed lunches for your expeditions, snacks and meals. Outside there are extensive private and secluded gardens with shaded areas and hidden corners. Swim or cool off in the 12m long pool, then lie out to relax on sun terraces with panoramic views of the Apokoronas, villages, gorges and mountains. The pool and grounds are for exclusive use of guests only. The minimum rental period for our holiday apartments is one week in the summer (Jul and Aug), and 3 days at other times.